What is the International Day of Happiness? It’s a day to be happy, of course! Since 2013, the United Nations has celebrated the International Day of Happiness as a way to recognize the importance of happiness in the lives of people around the world. The UN just launched 17 Sustainable Development Goals that seek to end poverty, reduce inequality, and protect our planet – three key aspects that lead to well-being and happiness. What are the 10 Steps/Tips to a Happier Life? According to Action For Happiness, there are 10 keys to living our dreams and a happier life: 1. Giving – Do for others. 2. Relating – Connect w/ people. 3. Exercising – Take care of your body. 4. Awareness – Live life mindfully 5. Trying Out – Keep Learning anew 6. Direction – Have goals. 7. Risilience – Find ways to bounce back. 8. Emotions – Look for good. 9. Acceptance – Be comfortable with YOU. AND 10. Meaning – Be part of something bigger… and go for it. Our actions and participation are important aspects of the work needed to create more Happiness in our lives. there will be people who might try to derail us but stay true to your joy and know that sooner or later, those people will fade out of your life… Good begets good. All we do in life, every action, thought, word, and belief we hold is part of an effort to connect with that joyful, happy place inside our being. Go there and celebrate the life you do have! Positive Motivation Tip: Be happy for the breath you take and continue by taking the 10 steps to a happier life! 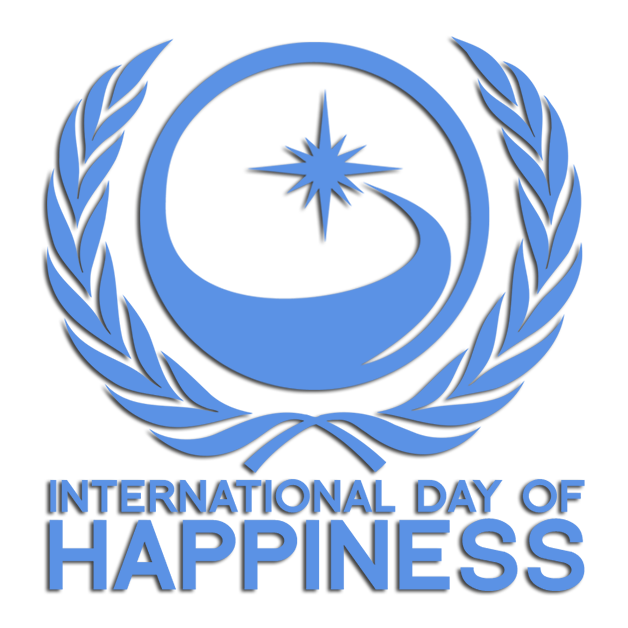 I had no idea there was such a thing as an International Day of Happiness but I am thrilled to know such a thing exists! What a great post! So inspirational!! Thank you and keep up the good work! It’s so fascinating how significant happiness is linked to our overall health, don’t you think? To me it seems so much easier to be happy than miserable. I wonder why some people can’t seem to get out of their own way and find happiness? Good question. I wonder too. I’ve always believed that happiness is a choice and some people choose to not embrace it. Happy International Day of Happiness everyone. Never knew that there’s a day for it until I read this post. As good of reason as any to be happy! I wish you happiness every day sweetheart! True… and we might as well enjoy our lives. My kids made cupcakes in celebration of international day of happiness. Next year they want to bake for family and friends. For me, don’t choose our happiness, create it! Every day should be International day of happiness! Great post. Only just learned that such a day existed. Great idea! Exactly… laugh a little and help others laugh too. I try (and fail because of chronic back pain) to be happy all the time. I am so glad there is a day of happiness that everyone can celebrate. I do hope you find some way to help your back… I find restorative yoga poses and physical therapy help a lot.. Happy happiness Day! This is so cool! I love how you gave tips on how to be happy! I agree with serving others and having direction in your life! That’s awesome that happiness has its own special day now. It would be amazing if happiness will be celebrated everyday. oh…and are you singing the song now? lol Instantly ‘happy’ came into my head and is playing over and over, lol. 🙂 Have a great week! That’s so cool that International Happiness Day and 1st day of Spring fell on the same day. I know spring makes me happy! Happiness is a state of mind… Some people choose to constantly focus on the wrong things in pursuit of happiness, and no wonder they don’t arrive anywhere. Happiness comes from inside, from accepting who you are and that we are all special in a unique way. I couldn’t have said it better.TY! I must start reading more because I really don’t have any clue that we do have an International Day of Happiness. I wish I read this 2 days ago! Happy belated Happiness Day to you! I love the 10 tips to a happier life – some things we should all take mention of! Hope you had a great day celebrating . I never knew about this one. Thanks for sharing this beautiful article. I didn’t know there’s an International day of Happiness! Well, belated Happy International Day of Happiness to you! super cute post! wish you loads of happiness! Of the 10 things in the list to become happy, there’s one thing I really need to prioritize right now: exercising. I know doing so releases happy hormones, and it makes us physically fit and strong. So I should definitely go back to including it in my daily routine. each day should be celebrated as a day of happiness! Indeed… every day we take breath should be celebrated!